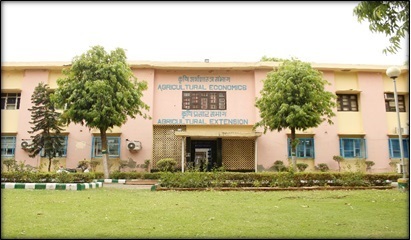 The Division of Agricultural Economics, a constituent of School of Social Sciences of IARI, was established in 1960. Since its inception, the Division has been making contributions in basic and applied research with significant implications for agricultural policy. The Division achieved excellence in post-graduate education and research as an ICAR-UNDP Centre of Excellence through a faculty exchange programme for human resources development and strengthening of infrastructure facilities. Since 1995, it is functioning as an ICAR Centre of Advanced Studies in Agricultural Economics with capacity strengthening for agricultural economics and policy research in the national system. The Division has trained a large number of post-graduates, both from India and abroad, and alumni of the Division are serving diverse national and international organizations as economists of high repute. Research focus of the Division has been continuously reoriented to address contemporary development challenges. During the sixties, major research focus of the Division was on farm business analysis, efficient allocation of resources, supply response, input demand analysis and marketing efficiency. To address the challenges and opportunities of the Green Revolution, research programmes during the seventies and eighties were mainly concentrated on capital formation, labour employment, farm mechanization, rural credit needs, yield gap analysis, price policy and subsidy issues, and efficient management of natural resources. In the nineties, issues related to national food and nutrition security, efficiency and sustainability of agricultural production systems, poverty alleviation, research impact assessment and priority setting, export potential of agri-products, etc. were accorded high priority. Besides continuing emphasis on these research programmes, attempts were made in the recent past to assess food demand and supply scenario, impact of WTO regulations, food safety requirements, market information systems, peri-urban agriculture, etc.